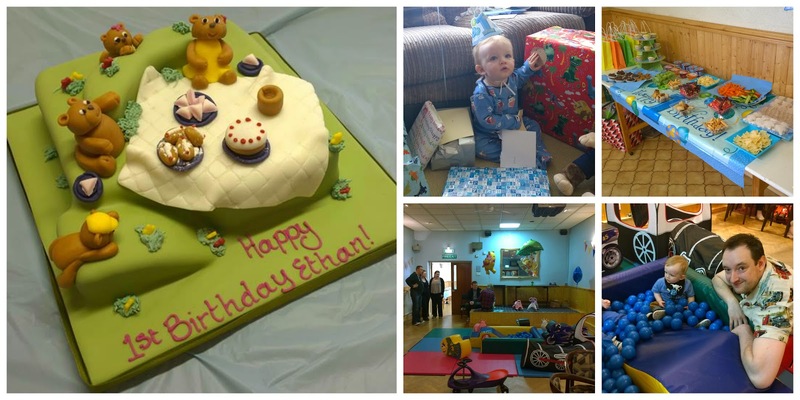 So, last Monday was Ethan's first birthday and what a day he had! He woke to balloons, presents and an obligatory party hat, enjoyed playing with his toys all morning before we headed to the church hall to get it all dressed up for his big birthday bash. Our best friends had travelled from Durham and Yorkshire to celebrate with us and together, we laid out the food - one table for the adults and another with child-friendly food - put pictures up on the walls and arranged the soft play area ready for Ethan and his friends. Some of Ethan's friends from the yummy mummy group I used to go to came along, my Dad had also come up especially to spend the day with our special little guy and Stephen's family joined us to make it a day to remember. I had been planning his party for some time, collecting bits and pieces and planning what to put in the goody bags, and I wanted it to be a really special day for Ethan. 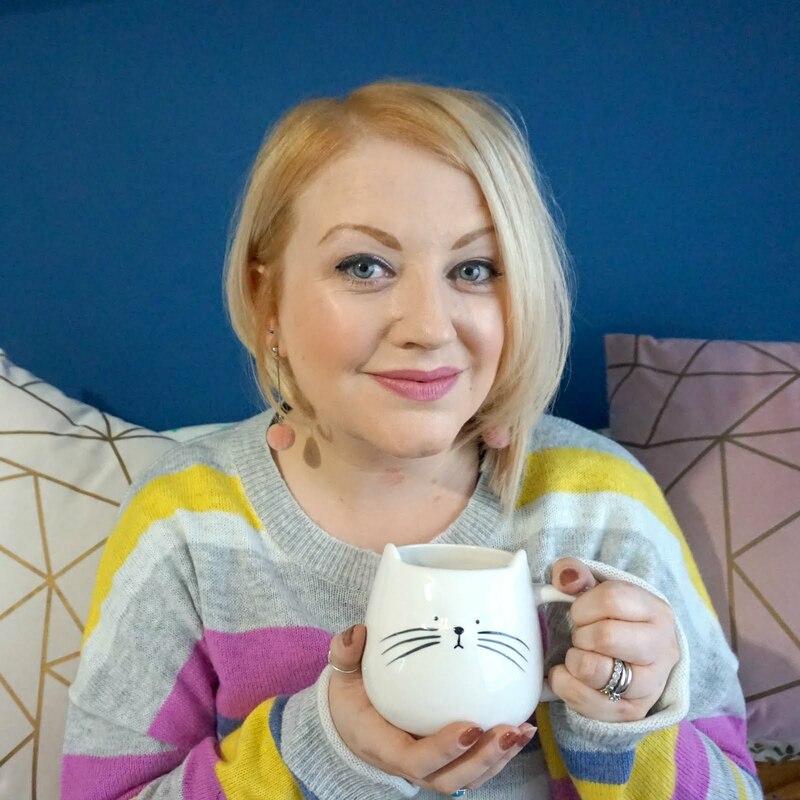 I can't deny, despite my planning, some things didn't go to plan (I forgot to buy enough napkins and the soft play hire company couldn't find the venue) and I did find it all quite stressful but once everything was ready, I relaxed and enjoyed the party. I also can't deny that I found it quite emotional, almost blubbing in the car on the way to the hall, but us mamas are allowed to shed a happy tear or two now and again. By the end of the day, we were absolutely shattered but it was all worth is as Ethan really had a fantastic day. He didn't sleep one wink until we put him in the car to go home, where he promptly fell into a near coma like state, and he got to spend lots of time with all his friends and family who think the world of him. He also seemed to love the presents we gave him (post coming soon) and the lovely gifts he was given and as a special memento, we handed around the photobook I made of his first year for people to write a message in to commemorate the milestone of turning one. Salad tubs, like coleslaw and pasta, sliced ham, ready to eat chicken skewers and drumsticks - all great options for parties - and don't forget the party sausages, sausage rolls and pork pies too! Breadsticks and crisps - we had Pom Bar crisps, I do love a theme! That's great - pleased it was useful and good luck party planning!